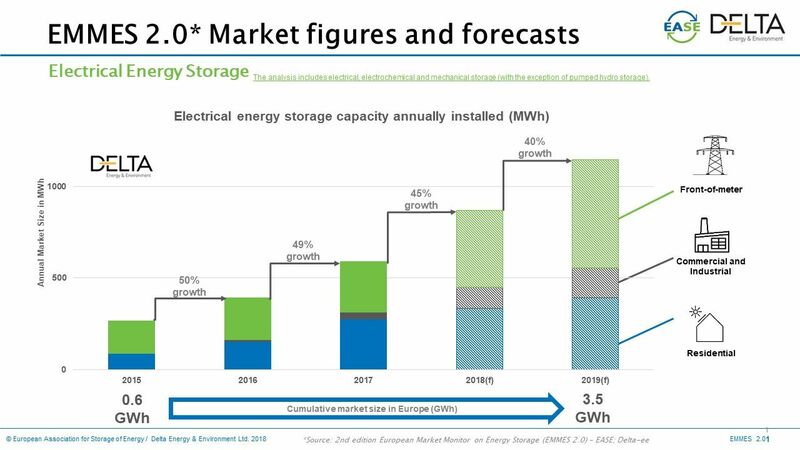 According to a report by Delta-ee and European Energy Storage Capacity, in 2017, the annual electrical energy storage market grew by 49% to 589 MWh. This led to a total of about 1.6 gigawatt hours of energy storage installed in Europe at the end of 2017, excluding pumped hydro. The report also mentions that lithium-ion batteries accounted for more than 90% of the new installed capacity last year. Germany and the UK are the most important markets for grid-scale projects, with Italy growing strongly in the residential market which is led by Germany.